To involve the every faculty member in R&D activities, which lead to Ph.D. degree and research proposal writing. To enhance the research awareness by conducting various national level and international level workshops and conferences and guest lectures. 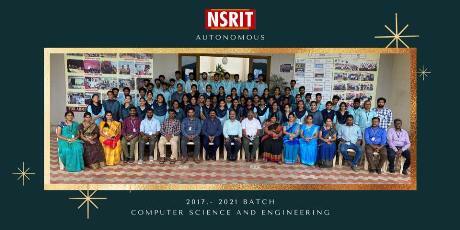 The Research Promotion Scheme of NSRIT aims to nurture research culture in the institute by promoting research in newly emerging and challenging areas of science and engineering. It encourages the Undergraduate and Post graduate candidates to undertake the research in newly emerging frontier areas of science and engineering including multidisciplinary fields. This enhances the general research capability of budding technocrats by way of participating in conferences, seminars, workshops, project competition, etc.